The Killer Characters' Summer Reading fun continues! Leave a comment below for a chance to win a copy of ASSAULT & PEPPER or GUILTY AS CINNAMON -- winner's choice! And see the details below on a summer price cut! Good morning, gentle readers. Many of you have asked, so I will get the introductions out of the way first. 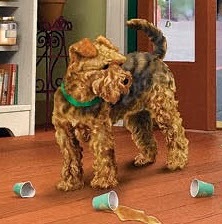 I am an Airedale, the King of Terriers. (There may be a touch of the smaller Welsh Terrier in me as well - they, too, are a most excellent breed.) The humans seem to think I'm about five years old, in their terms; age does not matter to me. I came to live with Pepper last fall, when Sam---the street name of the man known officially as Winfield Robinson III---decided to leave Seattle and return to Memphis, where his humans are. I am not familiar with Memphis, but I believe I would have enjoyed the opportunity to explore its streets and smells---I hear they serve very fine barbecue. But Sam thought the long bus ride would be too much for me. I am not sure why---I have always gotten along well with greyhounds. Sam knew Pepper to be a generous and loyal friend, and she does indeed have those admirable qualities. She is a delightful companion who values my presence in her life, and rubs my ears. She is also well-acquainted with the butchers in the Pike Place Market, where we spend much of our time. The Pike Place Market is a glorious place, full of crooks and crannies, sights and smells, and many friendly people. And a few bad apples, but we know what to do with them, don't we? As I say, I came to live with Miss Pepper in ASSAULT AND PEPPER. In GUILTY AS CINNAMON (Book Two), I get to use my investigative talents to help Pepper identify and catch a very bad man. In KILLING THYME (Book Three, coming October 4, 2016), Pepper and I don capes and fly through the city---no, wait, that was last night's dream. We investigate a suspicious death linked to Pepper's childhood home, uncovering decades-old secrets that put her family and dearest friends in danger. Pepper once again proves herself smart, loyal, and courageous---and I her most faithful companion. Gentle readers, a favorite animal companion? 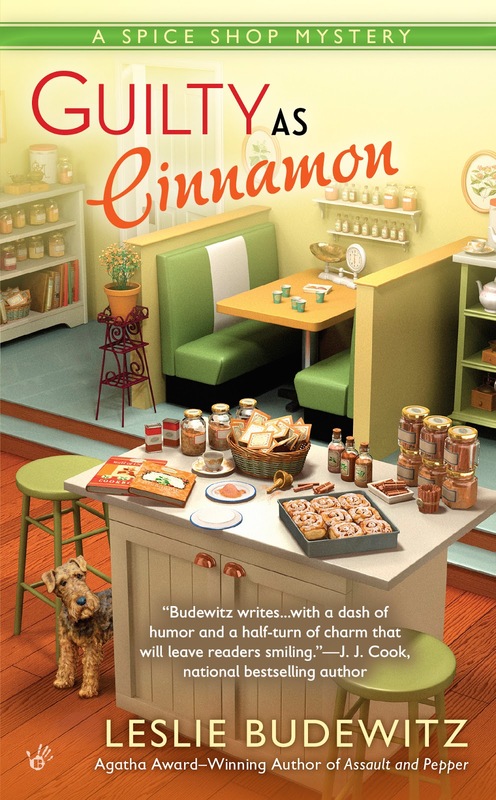 Leave a comment by midnight, Friday, July 29, with your email address (e.g., leslie AT lesliebudewitz DOT com), for a chance to win a copy of ASSAULT & PEPPER or GUILTY AS CINNAMON -- winner's choice! US and Canada addresses only. And the SUMMER SPICE SALE continues! The e-book of ASSAULT AND PEPPER is now 1.99, through BookBub and all online retailers, while the paperback of GUILTY AS CINNAMON is reduced to 7.19 through the online retailers. But hurry -- sale prices end this Sunday! COUNSELORS: HOW TO WRITE ACCURATELY ABOUT CRIMINAL LAW & COURTROOM PROCEDURE. For more tales of life in the wilds of northwest Montana, and bonus recipes, visit her website and subscribe to her newsletter, or join the fun on Facebook. Another bird lover! It's Hummer Summer at our house. We're serving up vats of nectar! I had an amazing cat and lost her to a tumor about 6 weeks ago. I still have my daughter's cats though. She is in Moldova in the Peace Corps. Oh, Debby, so sorry. Our little friends leave such big holes when they go. Nice that you still have a little feline energy in the house, though. Moldova -- wow! What a cute post by Art, he's so intelligent. We have a dog, a beagle. I'm sure her sniffing skills could come in handy if I had the occasion to investigate anything. Thanks! Arf. I thought someone told me there's a way to turn autocorrect off?! Ah, wish I knew how to do that, but I don't! Love Beagles -- my first dog was a bagel, half Beagle and half Bassett! Rescues -- bless you -- important work. Sounds like a great series. Can't wait to add it to my TBR list. Would love a chance to win Assault & Pepper. Thanks for the giveaway. I can hardly wait to read this series and learn more about Arf. Thanks for the giveaway. Well, all of a sudden Blogger won't let me reply to individual comments, but I'm reading them all and am thrilled to see so many of you here -- and to hear about your favorite pets! Great review thank you, I like to win ASSAULT AND PEPPER thanks for the chance. Our family has a cat, our little Kessie. We've had her for 10 years and the only people she actually seems to like are those in our immediate family (which is only made up of two people). Anybody else comes around, she runs and hides. But we love her dearly. Thank you for the chance to win. Enjoyed the review. I have a Cairn Terrier as my companion. He stays with me all day & night. He follows me room to room. We have a cat named Sami who is 13 years old. We recently lost our 12 year old beagle mix who passed from complications of an enlarged heart. Sami sure misses her buddy. Oh, Sharon, so sorry about your dog. Wishing you and Sami the comfort of each other. I now have eight Schipperkes. I had to send my sweet Bayer over the Rainbow Bridge last Thursday as he got down and could not get up. He had three compressed cervical discs. I miss him so. The rest of the Gang comforts me and will help the hurt heal. Thanks for the giveaway. Marlene, so sorry about Bayer. A hole in the pack. So interesting how, when one animal dies, the others understand, and make an effort to comfort us. Pep the Pug is our beloved companion, but alas, he is a bit old and stiff to don the cape and fly! Thanks for the giveaway. Can't wait to read this book. Love the title. I have three very small service dogs thst help me with PTSD. They know when I am starting to get anxious and go into action . They are my constant companions and stay very close to me at all times. It is amazing how they can sense things. Deanna, good to know you are so well taken care of! coffee before he takes her for a walk. Love it. No pets at this time but I do enjoy watching the antics of the bunnies and squirrels out my kitchen windows! I just bought the Audible file of Assault and Pepper. Would love to have the book to go with it! Oh, thank you! I love Dara Rosenberg's narration, and hope you do, too! I love the series and already own the two titles you're offering as a prize. But I did enjoy hearing how Arf is getting along. Thanks, Nora Adrienne. Rest assured, Arf will be back in KILLING THYME! I would love to win of your books. At this time I don't have any pets, though I have owned an assortment of loving cats and dogs thru the years. If I could find the right small dog, I would love to make him or her part of my life. Earlier this week I just downloaded Assault and Pepper to my nook. Hard to beat $1.99 pricing! Always prefer a good solid book though so will have to grab book 2 while it's on sale. I've got a different book to finish reading first before diving in. Of course, I snuck a peek at the recipes at the end already. I love a good book with fun recipes! And I love the idea of a spice shop series! Looking forward to keeping up with Pepper et al! JBelle, thanks for the download -- so glad you enjoyed ASSAULT & PEPPER. I can promise you, all the recipes are yummy, much-tested, and do-able! Plus the chickens do contribute to the breakfast table, not to mention enjoying the scraps! But how do they fare with the cats? You'll enjoy my new chicken joke: Why did the chicken cross the road? Because she left her book on the other side! My beloved cat, Rodney Oliver, may he RIP. I would love a copy of ASSAULT AND PEPPER! It took me right back to Seattle, just as if I was there! Thanks for a chance to win! Love hearing about all your animal companions! Judy, those kitties know who's got the soft touch! Petite, Guido! LOL -- what a great name for a little guy! Traveler, your mix sounds like just the right combination -- and I bet he knows how lucky he is to have you. Kathleen, so sorry about Rodney Oliver. Our little friends leave such big holes when they go. I'm glad the book took you back to a place you love! And Unknown, I agree -- it's not always easy to give the story animals a role in every book, esp the stay-at-home pets, but those are the very best kind. And it does sound like you've got a great one! Just can't get enough cozy mystery reads. Well said, Arf. Thank yo for the information. Thank you, a pair of of Amandas, Judy, Libby, and Joye. I must say, I adore my covers, esp ASSAULT & PEPPER -- it's almost impossible to not want to reach out and pet the dog, isn't it? Arf says: Ah, a woman after my own heart! I lost my kitty, Max, in December to kidney failure. He was only eight but had been sick for a long time. He was my buddy and I still miss him. I'm lucky to still have his sister who also misses him. Thank you for the giveaway! I'm looking forward to starting this series! Carol, so sorry about Max. Our little friends leave such big holes when they go. I've also witnessed the other animals in the house grieving over a loss -- you and Miss Kitty are a comfort to each other. Arf says: Thank you, Miss Grace. You are most kind, and aptly named. Lassie and Lad are role models for us all. We love our canine companion!! He's our second rescue and is a little Jack in the box!!! Keeps us on our toes!!! Thank you, Linda, Anon, and Annette! I heart READERS! Cute Dogie on your cover...We had a scottie and he was very special. His secret hiding place for his snack bones was the video collection. Thank you for the contest. Oh, Marilyn, love that hiding spot! 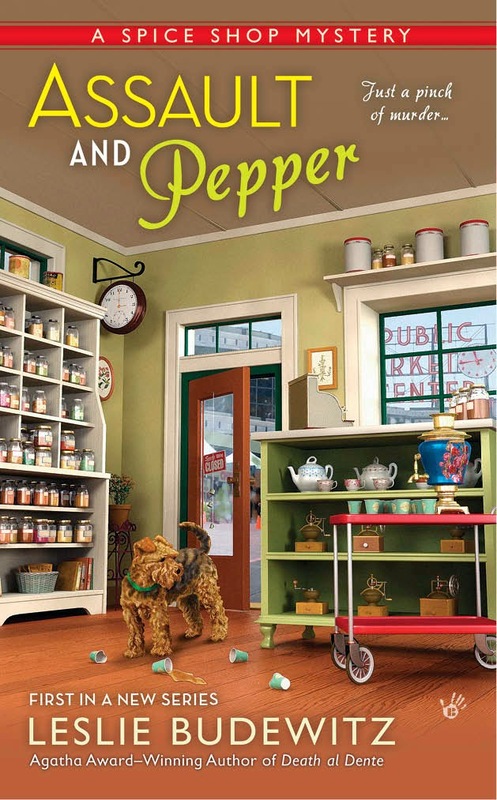 A major character in my Food Lovers' Village Mysteries has a Scottie named Pepe, Italian for Pepper -- not sure whether I should tell Pepe your dog's secret spot or not! Kristin, "Soul Mutt" -- Love it! Right now, my favorite animal companion is my 18 year old cat, Ms. Mouser. She is a great companion and I treasure every day I have with her. Arf sounds like an awesome dog. It was great getting to know him. Looking forward to reading this series. Diane -- 18 years of love and affection -- so wonderful! Long live Ms. Mouser! My dogs have since crossed the Rainbow Bridge, my horse (Harley) doesn't live with me, but I currently have 5 rats (Eccleston, Eros, TARDIS, Alfie, and Strax) and 3 cats at home (Calumet, Licorice, and Mariusz) ...plus the foster kitten (Annabella) who will probably become cat #4. Melissa, Kat, and Brittany, so lovely to hear from you and to hear about your animal pals. Brittany, my husband has an old friend from college whose wife is named Mischief! So sorry about the loss of your little guy. Sandy and Anon, thanks for joining in the fun here -- I'm delighted to introduce you to one of my favorite characters. I kinda forget sometimes that he's fictional! Two smart, loving, loyal breeds -- you've chosen well. Or, rather, they choose you well! Thanks for joining in the Killer Characters fun. I love this series...spices! Yes, I enjoy learning along with my cozy read. Thanks. Thanks, Kathleen! I have enjoyed learning and sharing spice info with readers -- my cupboards overfloweth! Thanks for being a cozy mystery fan. My favorite animal companion would be my Teddy bear. He is so soft and gentle! And never a harsh word. Always so appreciative of anything I do! I have both books so I don't need to win. Great series! Elaine, thanks for a smile -- yes, our soft, cushy friends hold a special place in our hearts, and our arms! 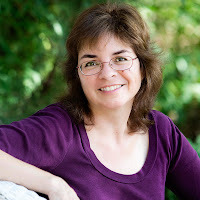 I like cozy mysteries and cats! I would love to win one of your books!! We have two dog and seven cats all who follow us around at different times and can be great companions. Thank you for the chance to win one of your books. I love the titles and they sound like fun reads. I don't have an animal companion right now, but I love the wild birds. Thanks for the chance. Right now we only have 2 rescued cats.They certainly have their own personallities. Linda, Angela, Peggy, and Nancy -- thanks for dropping by. Arf and I love meeting readers! Frank, that's a long life for a dog -- what a blessing. I often see a schnoodle on my morning walks -- such personality! However I did just use your link and buy the 1st Spice Shop Mystery, so I look forward to "having" Arf for just a bit! Lavender, thank you -- I hope you enjoy Assault & Pepper and the virtual trip to Seattle. I sympathize with the loss of your pup -- we had a Retriever-Samoyed mix, and loved that spirit! We have the most wonderful animal companion, Cibbl (pronounced Kibble...not to be confused with the food) who keeps our home running efficiently by eating food, Kleenex and other items off the floor. He's such a good house keeper! He can often be found on the couch in the library while I am folding laundry or reading while the kids are keeping their toys off the ground (he trained them well). How do you work in a spice shop without getting overwhelmed by all the smells Airedale? Do you prefer spices in your dog food? Thanks for giving away a book. Good pup! If I win, you can reach Cibbl at sherylhbooth (at) gmail (dot) com and he'll let me know I won. Thanks! I love the covers of your books, would love to win one and read them both. The Guilty as Cinnamon books looks so good. I currently have 4 cats. Three are litter mates. They take turns visiting and cuddling. The older cat thinks she's a queen and wants to rule the roost. But when she wants attention, she wants it NOW. They all keep me laughing. Looking forward to reading Guilty as Cinnamon. cheers@MarjimManor.com. You know what they say, Margo -- Cats were royalty in Egypt, and they've never let us forget it! We started with two cockatiels, Squeaky passed away last year at the age of age and we still have Speckles who is 20 and he amazes us every day with his intelligence! He loves to watch the conventions except for the booing, then he starts shreiking! This year, he figure out how to go down a ladder, something that a lot of birds don't know. So you CAN teach an old bird new tricks! Sorry to hear about Squeaky. I kinda don't blame Speckles for shrieking! Cat! For my entire life I am blessed to have always had a wonderfully loving cat companion. Cats are my spirit animal. My last cat lived to 19 and now I have a charming beautiful Himilayan rescue who I love and adore. We spend our days loving each other. My Mom and I believed that a "life without a pet is not living" and "a home without a pet is not a home. " Adore this series!! Guilty as Cinnamon would be my preference. I love the 4 legged small girls that we have. I am disabled and home 24/7 and without the girls I would be climbing the walls and sometimes I feel like I do. Pups are the best for me as they are so loving and I enjoy loving them back. My husband and I love to take them for rides as they have so much fun . We live in a rural area so they love barking at the cows and also they sit by the front door and I lock the storm door they have a pillow and every rabbit and deer that comes by they really bark. The birds they are used to as we also have 13 bird feeders . Our small girls we got a the local shelter and so glad that we did! Thank you for the contest and so glad that the books that you are offering are in print! We love animals! My granddaughter, age 8 watches all the vet shows and animal shows, she wants to be a vet! They have 2 rescue dogs, a rescue hamster and a rescue hermit crab. My other daughter and granddaughter have 2 rescue cats! My third daughter is looking to buy a house so she can rescue a dog too. Our son and daughter-in-law have a rescue dog. They are all in the family! This author is new to me, but I definitely have her in my want to read list! Oh, Lexie, PT, and Crochetma, love hearing about your busy homes! Himalyans are so beautiful. PT, love the image of taking "the girls" for a ride and barking at cows -- we lived on an old farm with border collies, who knew instinctively how to take the neighbor's stray cattle home! Crochetma, a rescue hermit crab might be a first here at Killer Characters! Thanks to all of you for stopping by. Thank you, RHonda! We HEART Readers! My favorite critter companion was a tiger-striped cat I called Matilda. She consented to the name, as food regularly followed when she responded to it. She was a bit of a tubby tabby, but friendly to one and all, even without snacks. My husband claimed we ended up buying our house because the cat came with it: her first action after we moved in and I was sitting in the back garden pulling weeds to to crawl into my lap and declare in her own feline fashion that I was the most wonderful person ever and I was truly gifted in giving ear-scritches. Sadly, she developed heart issues and died after only five short years. I've had other feline companions since, but she set a standard that has not been met since. Oh, Kim! I was smiling along with you as you described Matilda. So sorry to hear about the heart issues, but so glad you had a love you can still hold in your heart. We had a "flabby tabby," too, a beautiful orange girl who I brought back to life in BUTTER OFF DEAD, my third Food Lovers' Village Mystery. She's even on the cover, along with the Burmese modeled after our beloved Ruff. I'm a cat lover. My Youie, an orange tabby went to heaven last year. I had him for 17 years. I now have Stormy, a gray tabby he's 15, and Lily, a Snowshoe, a mere baby at 13 months. I will always have cats in my life. Thanks for a chance to win. So sorry, Babe -- though 17 is a good run. I don't know Snowshoe cats -- oh, just looked them up -- descendants of Siamese, like the Burmese. Beautiful! OK we have three cats who adopted us, sorry about your heart issues, our calico cat doesn't like loud noise, the other ones are a little bit wild, but theft don't like a lot of people, I would love to read your books, I am new to this author the books lookj so amazing I would love to read these! Thanks for popping in, Mary and CentralEast -- the Killer Characters authors and readers LOVE meeting new readers and their critters! I so enjoy the small town and descriptions you use of the scenery and the town folk you incorporate in your books!. They always make me day dream of being there too! Thanks again and don't stop writing. biggoldie64 at the yahoo dot com. Thanks to all of you for sharing stories of your beloved pets! I'm waiting to hear back from the winner before sharing the news here.